Some 977 wines were entered into this year’s Old Mutual Trophy Wine show, with 23 winning trophies and 40 taking Gold. 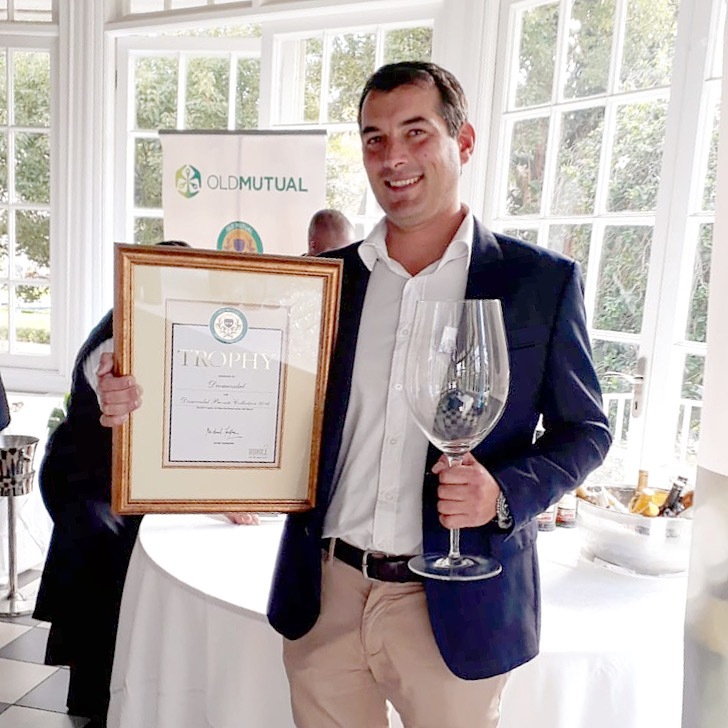 “Having been fortunate to wine trophies at two previous Old Mutual Shows, I know how meticulous and thorough the judging process is, as well as the strength of the competition in each category,” says Thys Louw, cellar master and proprietor of Diemersdal. Diemersdal won Old Mutual Trophies in 2013 and 2015 for the MM Louw Estate Red from the 2011 and 2013 vintages respectively. Diemersdal Private Collection 2016, a five-way Bordeaux-blend, is currently enjoying huge success in the market-place, so-much-so that production has been substantially increased to meet demand from the restaurant and retail trade. The wine is a blend of Cabernet Sauvignon (54%), Merlot (25%), Malbec (18%), Cabernet Franc (2%), and Petit Verdot (1%). According to Thys, the wine reflects the quality of the 2016 red wine vintage which saw perfect, even ripening conditions allowing him to make a wine where all five varieties presented components in total harmony with one another to create an individual red wine of elegance, power and presence. The grapes were picked at optimum ripeness with the components harvested and vinified separately. Fermentation was done in open-fermenters for five to seven days at 24°C to 28°C, with punch-downs carried-out every four hours until the wine had fermented dry on the skins. Malolactic fermentation completed spontaneously in the fermentation tanks before the five separate wines were racked into 225L French oak barrels, 25% of which were new. Here the wines matured individually for 18 months before blending. Diemersdal Private Collection 2016 is characterised by deep dark chocolate and enticing cedar aromas, followed by wafting notes of blackberry jam, cherry and cassis. The firm, well-structured palate features robust yet sweet tannins and a broad range of flavours ranging from black cherry and red fruits carried along by the richness of its oak and vanilla notes.